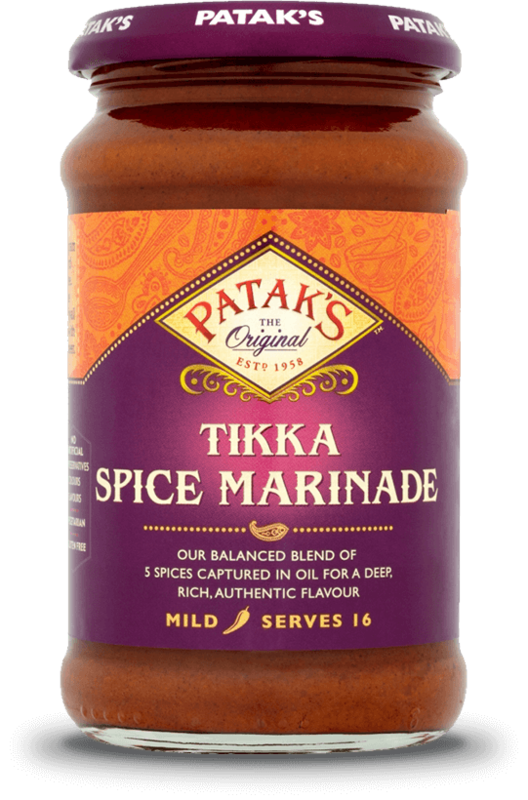 Our authentic blend of aromatic spices, paprika, coriander & tamarind for a beautifully balanced tikka dish. This product may contain mustard, peanuts and nuts. Water, Ground Spices (22%) [Paprika (11%), Coriander (7%), Spices, Cumin], Rapeseed Oil (4%), Acids (Acetic Acid, Citric Acid, Lactic Acid), Salt, Tamarind (2.5%), Modified Maize Starch.